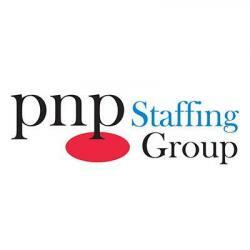 PNP Staffing Group, also known as Professionals for Nonprofits, was one of the first recruiting and staffing firms providing Temp/Temp-To-Hire, Interim Professionals, Executive Search, Direct Hire, and Consulting Services exclusively to support the talent needs of nonprofits, associations & social good organizations around the country. Our Recruiting and Client Service Teams are comprised of experienced staffing professionals and Account Managers with extensive knowledge of the nonprofit sector. The principals of our firm have extensive careers in senior executive leadership positions in the sector and are thought leaders in the areas of human capital expansion, talent acquisition and nonprofit leadership. Our goal is simple – to recruit the best talent to help nonprofits around the country do great things and advance their missions. We are driven, highly creative in our approach, resourceful in sourcing the marketplace for top talent, and diligent about providing the very best services to our clients who inspire us to do this work.